Background checks and pre-employment screenings during the application phase are a vital part of the hiring process. Becoming equally important, as more employers are discovering every day, is the ongoing process of keeping track of current employees. It may not be the most comfortable announcement you make during your next staff meeting, but just because a new hire has a clean background check doesn’t mean you can afford to ignore the potential for inappropriate activity post employment. That is why SELECTiON.COM recommends running a background screening on your employees every few years. Proper background checks protect your company—both employees and clients. Running a background check every few years is essential in keeping you and your company safe. It’s an old adage that sometimes bad things happen to good people. It’s equally likely that the same influences which led to bad behavior pre-hire may still cause even the most model employee problems years after accepting the initial job offer. Most companies only worry about running background checks on their new hires. It’s easy to get caught up in only checking out new employees. However, that doesn’t mean you should forget to keep an eye on your current employees. Or for that matter, those long-time staffers who were hired BEFORE you implemented the screening process. Just because an employee poses no risk on their initial background screening, doesn’t mean that they can’t pose a risk in the future. Many employees may complain about having to renew and update their background screenings. 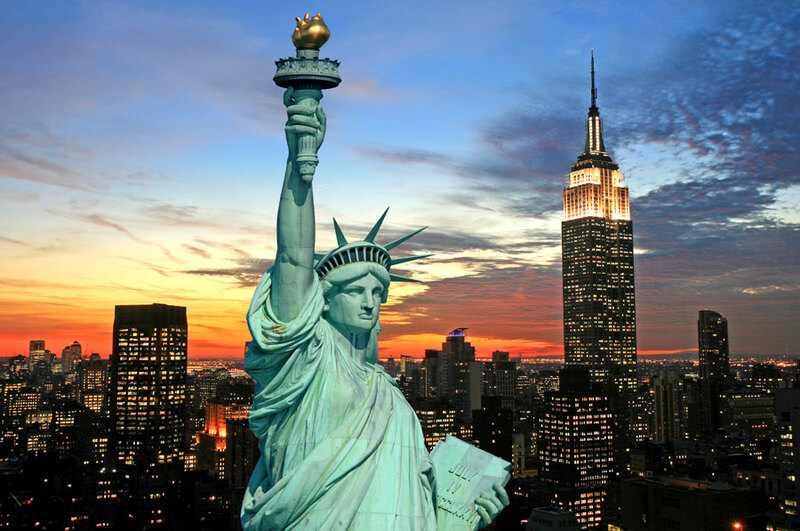 However, when it comes to employee background checks— better safe than sorry. It’s easy to run up-to-date background checks on employees. It’s not easy to deal with a potential legal battle. Current employees can pose as much of a risk to your company as new employees. Most companies just trust that their employees to be forthcoming. That is NOT always the case. It’s important to be vigilant and keeping up-to-date records is the easiest way to accomplish that. 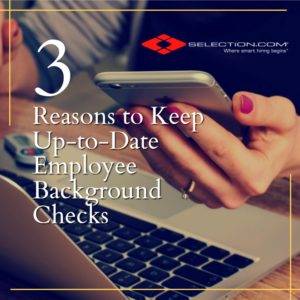 Here at SELECTION.COM, we have multiple solutions to help you keep your employee records up-to-date. Let us help you find the right solution for you and your company.